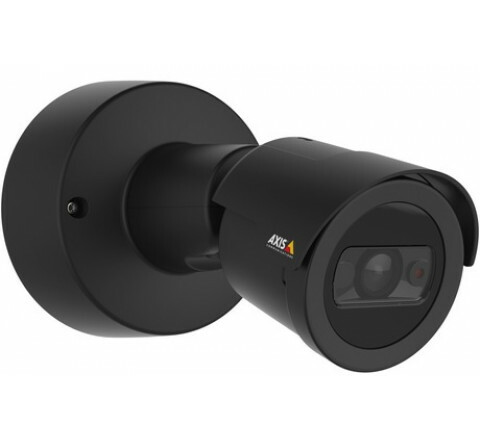 Day/night, compact and outdoor-ready bullet style HDTV camera in black color, IP66- and IK08-rated Built-in IR illumination and WDR – Forensic Capture. Fixed lens with 115° HFOV. Automatic IR cut filter. Multiple, individually configurable H.264 and Motion JPEG streams; max HDTV 1080p resolution at 30 fps. Axis’ Zipstream technology for reduced bandwidth and storage needs. Memory card slot for optional local video storage. 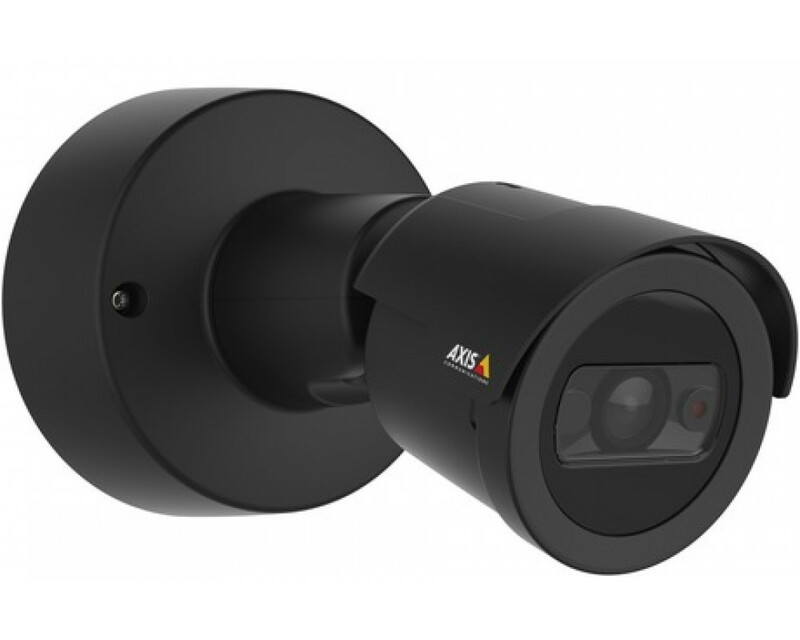 Video motion detection, active tampering alarm and corridor format. Integrated bracket for easy mounting on wall and ceiling. Power over Ethernet. Operating conditions -30 °C to 50 °C (-22 °F to 122 °F). Midspan not included.